Howdy, Freebs, and happy Frugal Find Friday to you! If I were to guess, I would say that many of us have graduation announcements dotting our refrigerator doors. 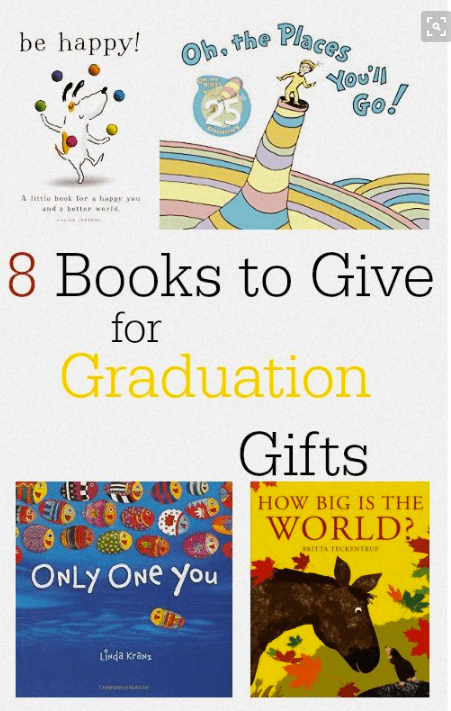 What comes with graduations is GIFTS, and we all know those can be expensive. Plus…what do you give a teenager who's not really a teenager any more, slash, adult that's not quite a full-blown adult yet?? So hard friends, so hard. 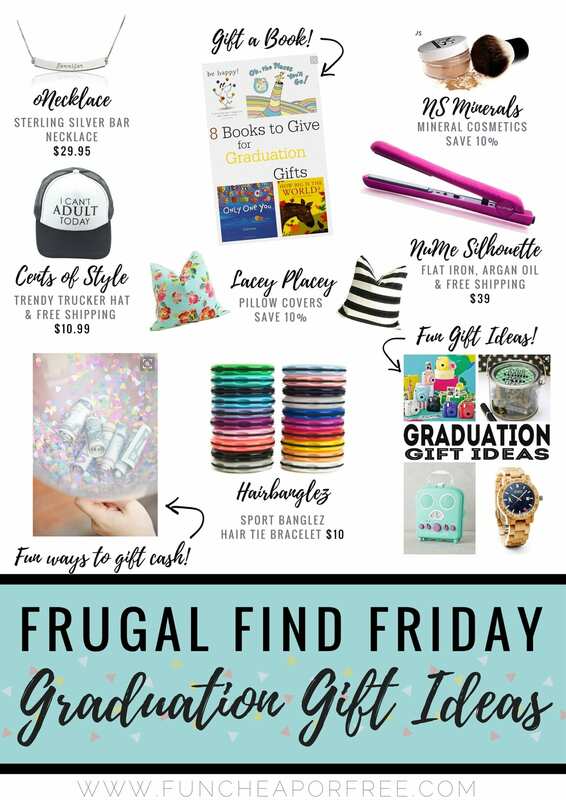 For today's Frugal Find Friday post we rounded up some of the cutest, cleverest graduation gift guide ideas, and even some EXCLUSIVE DISCOUNTS and deals just for Freebs that your grad is bound to love! Lets get to the gift ideas, shall we? Having decent hair tools (decent, not expensive) are vital for getting ready quickly… especially during your college years! 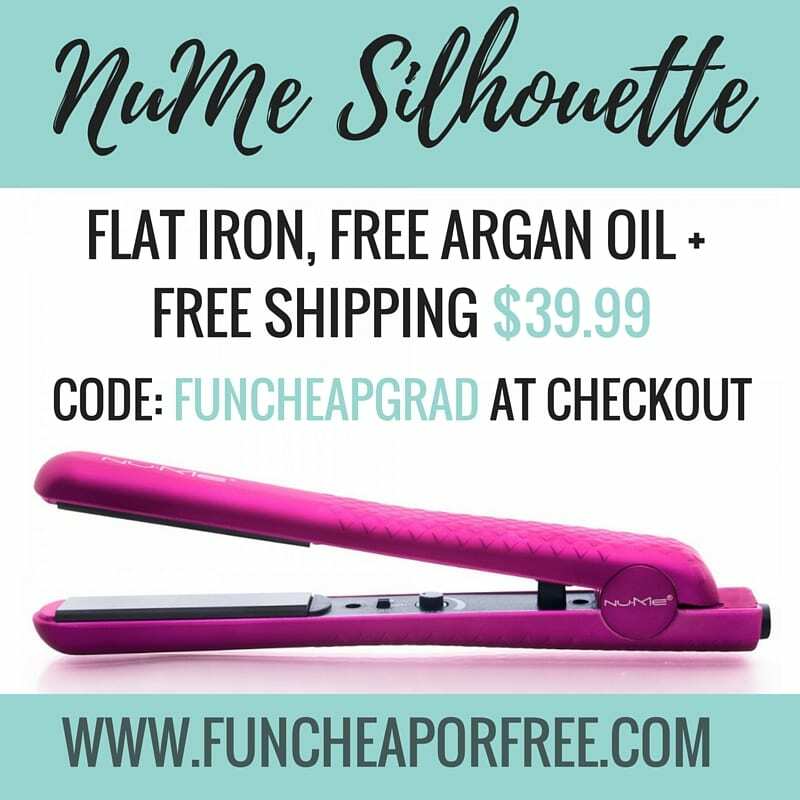 NuMe made this special packaged deal just for us, and you'll get their ever-popular Silhouette flat iron, with a FREE bottle of Argan oil, and FREE shipping for $39. TOTAL SCORE. These straighteners are the real deal, and $39 isn't much more than you'd pay for a cheapo one from Walmart. Having a quality flat iron makes all the difference because you can curl AND straighten in half the time, without the hair damage, and have it look TWICE as good. If you've got a female grad on your list, I have no doubt they would love one of these flat irons! Get your NuMe Silhouette Flat Iron for just $39 + with FREE argan oil, and FREE shipping! 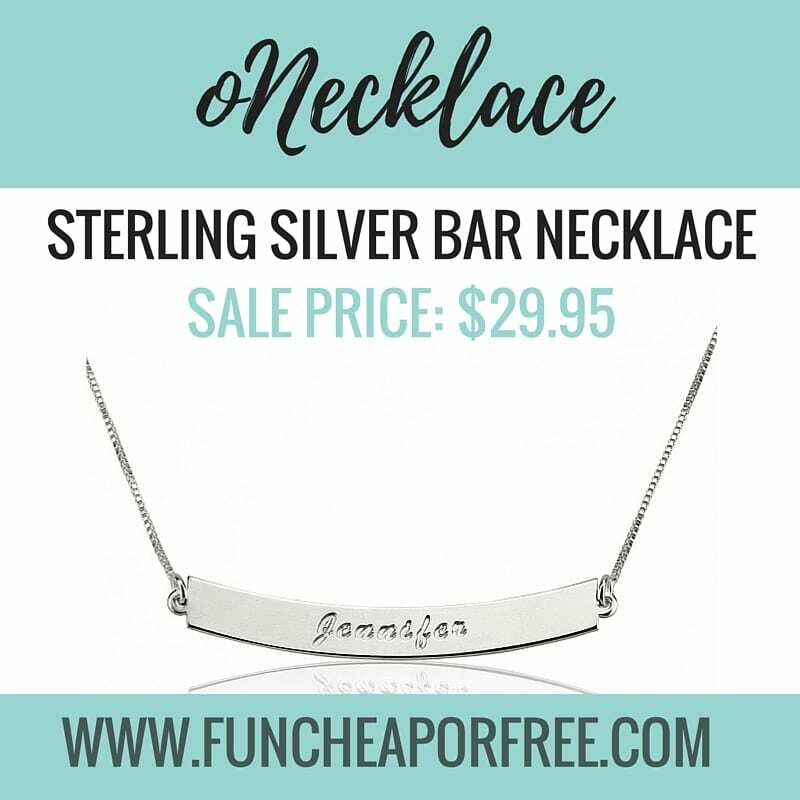 Sterling Silver Bar Necklace from oNeckace for under $30! There are some gifts you get and keep for a lifetime, and I could totally see this being one of them! oNecklace guarantees you're getting a high-quality product, and they are pretty darn pretty. You can customize their necklaces which makes it an extra special momento for your favorite graduate to wear. 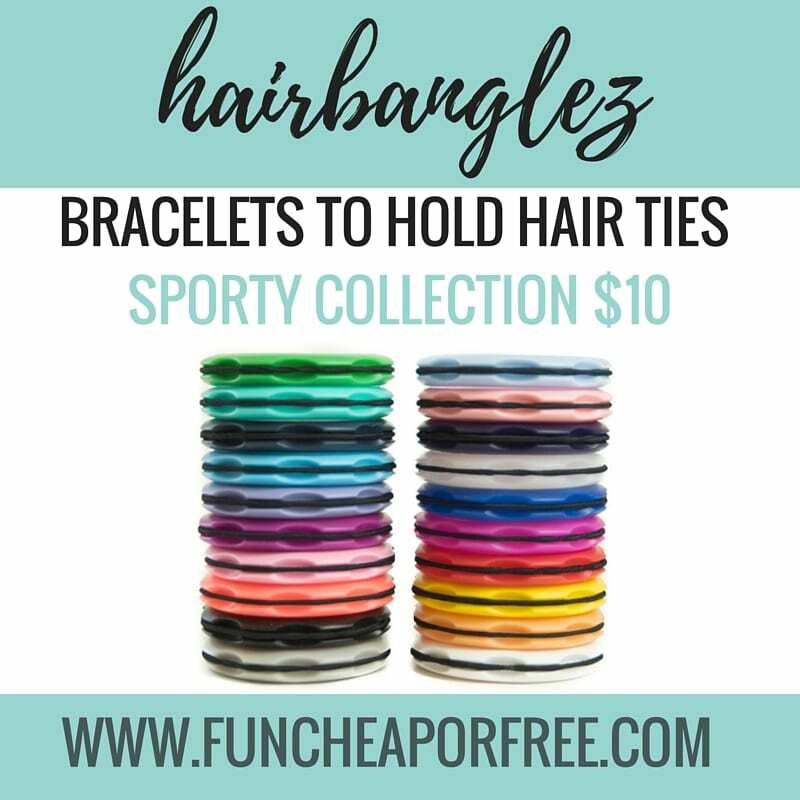 Sporty Collection Banglez from Hairbanglez! 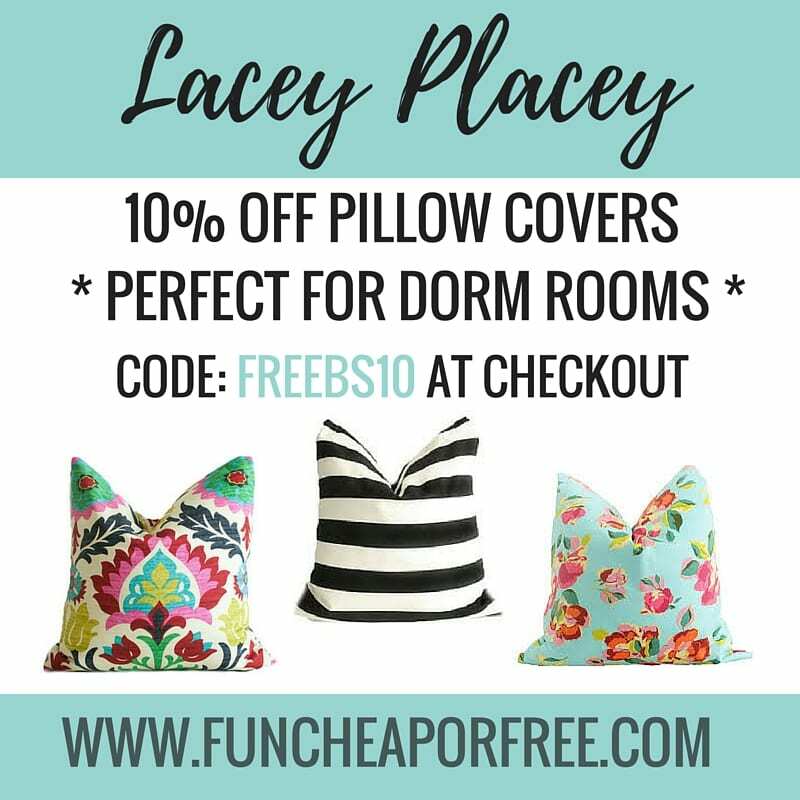 10% off Pillow Covers from Lacey Placey! Jazzing up a dorm room can be tough. No painting. No hanging things on walls. Your options are limited to personalize the space; bright and cheery pillow covers are an easy way to make it feel fun and homey. Lacey Placey makes the most beautiful pillow covers I ever have seen, in so many beautiful patterns and prints you'll be all heart-eyes emojis! No matter what your grad's design taste is, Lacey Placey will have the pillow covers to please! Lacey made a special code just for Freebs, so you can save 10% on your graduation gift! Enter code: Freebs10 at checkout to get your discount! 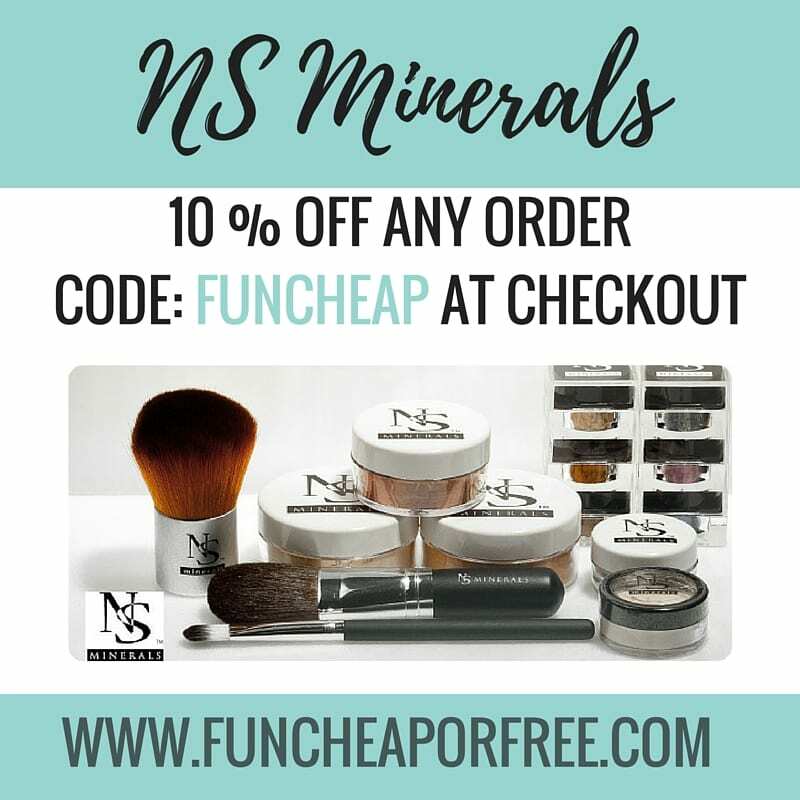 10% off Mineral Makeup from NS Minerals! It's no secret, many a girl loves makeup. I'm sure you've noticed by now that NS Minerals is my all-time-cross-my-heart favorite foundation EVER. I wear it every single day, and I can't see myself wearing anything else! Surprise your graduate with a set of her very own, and her skin will be perfect and glowing on her first day on campus. 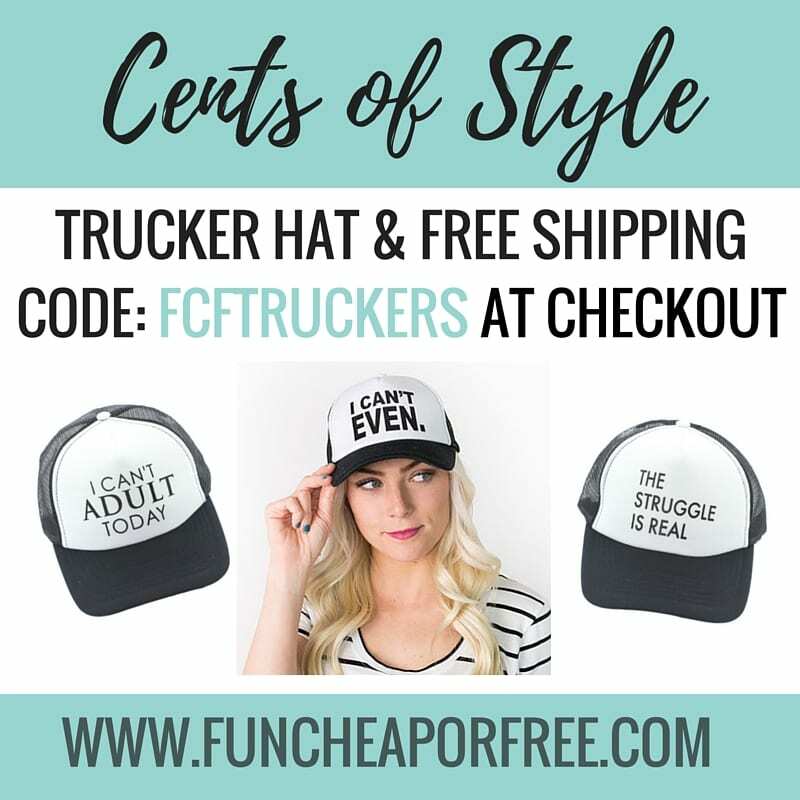 Plus, with our special code, FUNCHEAP entered at checkout, you can save 10% on your order! I just…I need…I want…I must have all these hats. All of them. If I could vote these hats from Cents of Style for President, I would. At $10.99 with free shipping, you can afford some for you AND your grad! Your grad can throw her hair in the ever-popular messy bun, throw on her hat, and she can fly out the door to class. You're bound to be popular in her book! 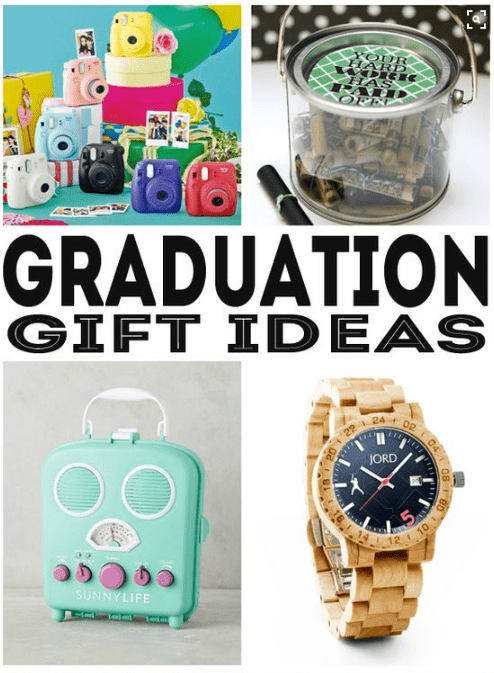 This pin includes a ton of different gifts that the grad is going to love — I really like the idea of the Instax camera (pictured top left). What a fun way to document the fun times ahead! I am a sucker for sentimental, which is why books always seem to strike my fancy, and this pin has a handful of good book ideas! Gifting a book is affordable, and personal. I like the idea of inscribing the inside with a sweet message of encouragement for the adventures that lie ahead! 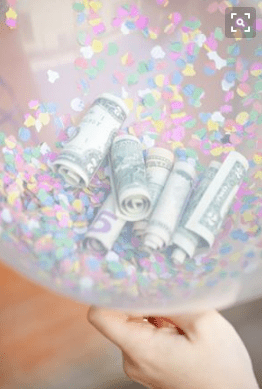 A money balloon! This pin explains how to do it, and I wish I had one for every birthday in the history of ever. Bright confetti, with money rolled up? Yes, definitely yes! 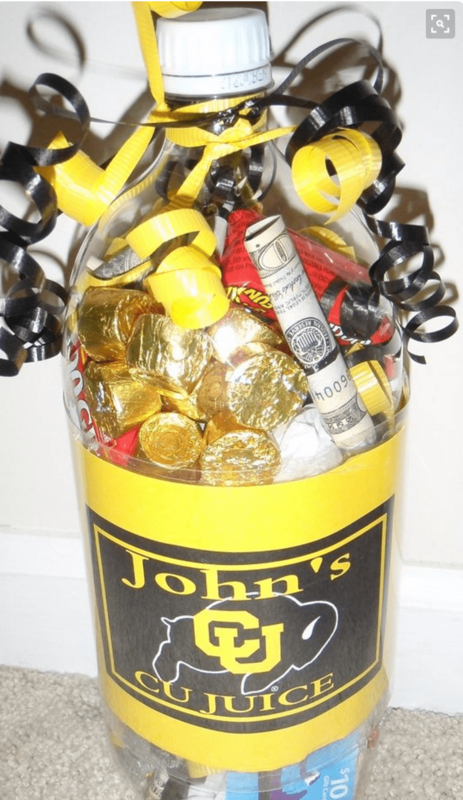 Fill a bottle with money, treats, gift cards, and your grad will love you forever! cute idea from this pin. 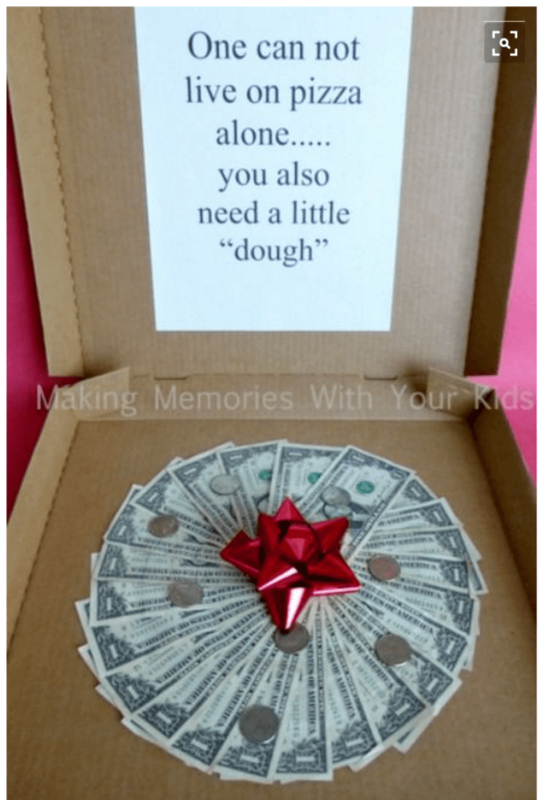 Money pizza! Clever, cute, practical, noted. Thanks to this pin for this cute idea. 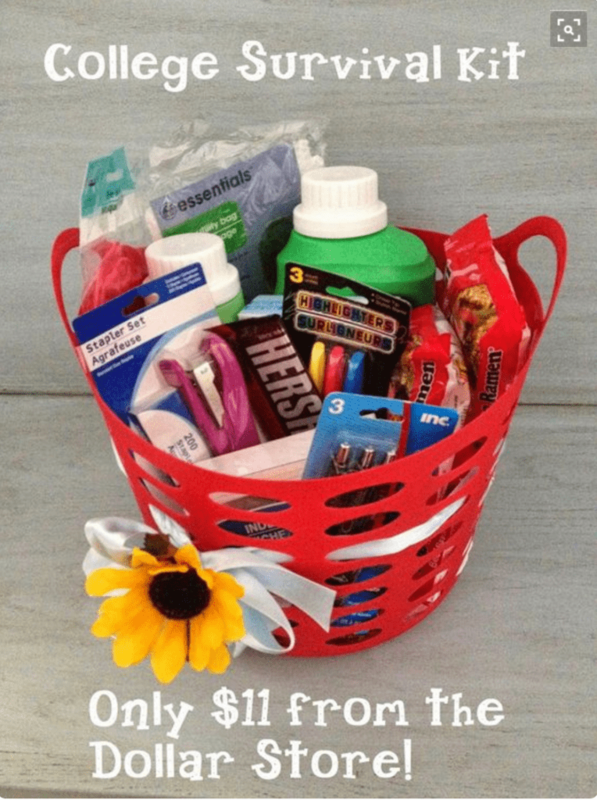 Grab a bucket and some survival goodies from the dollar store and you've got yourself the cutest gift ever! Pin source. PSSST…if you're hosting a graduation party this year, we can help there too! I have a few posts you may really want to keep in your back pocket as you start to plan your partaaaay. Get some graduation party ideas here, and one of my favorite party posts, how to feed a crowd on the cheap!